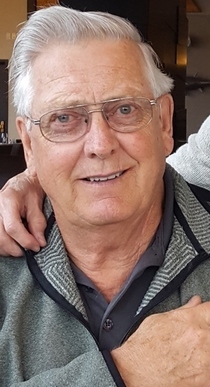 Obituary for Boyd W. Sipes | Adams Funeral Home Ltd.
Boyd Wylie Sipes, husband of Judy E. Sipes of Miramichi, passed away at the Miramichi Regional Hospital on Saturday, February 2, 2019 at the age of 77. Born in Yorkton, Sask, on August 2, 1941, he was the son of the late Robert C. and Pearl L. (Finnie) Sipes. He was a retired member of Canadian Armed Forces (R.C.A.F) after 28 years of service. He was adherent to St. Andrew’s United Church, Miramichi. He is survived by his wife Judy E. (Batson) Sipes; one daughter: Marsha Stackhouse (Norm) of Kamloops, BC; one son: Robert D. Sipes of Edmonton, AB; two grandchildren: Kevin and Joseph Hyde; two sisters: Norine Gamble and Gail Silver (Desmond) all of Regina, Sask. He was predeceased by his parents. Visitation was held at Adams Funeral Home Ltd., 140 King St., Miramichi on Friday from 2-4 & 7-9 pm. Funeral service was held at St. Andrew’s United Church, Miramichi on Saturday, February 9, 2019 at 11 am with Rev. Charlene Maguire MacKnight officiating. The music for the service was provided by Mr. Ken Simpson and St. Andrew’s Choir. The hymns were “Make a Joyful Noise”, “In the Bulb There Is a Flower” and “Here I Am Lord”. The recessional hymn was “Go Now in Peace”. The lighting of the Christ Candle was done by Kevin and Kayla. Remembrances of Boyd was given by Beth McCarthy. A poem “Looking Back on a Full Life” was read by Ian Flieger and scripture reading was read by Peter Parnell. The Miramichi ATV Club and Miner’s Group (Golf and Country Club) sat as a group and formed an honour guard after the service. Interment will be held later in the spring.